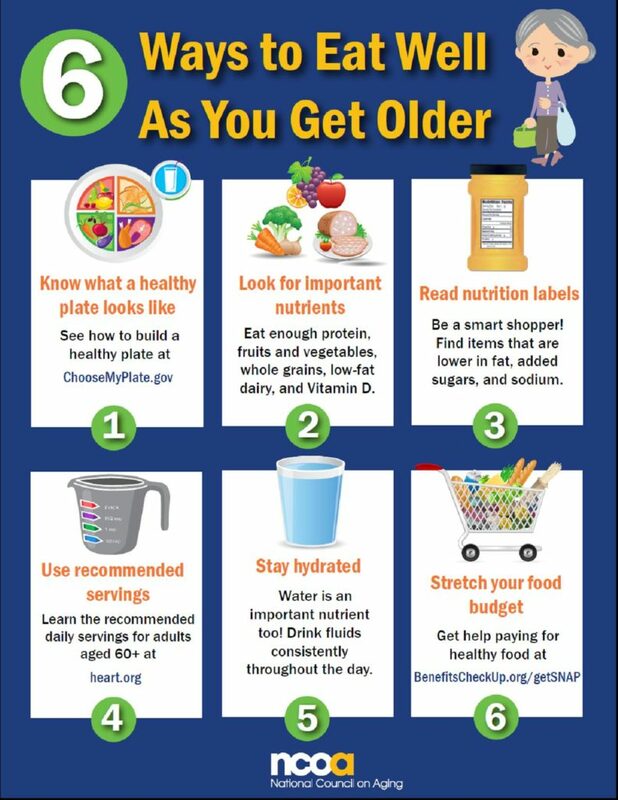 Good nutrition is essential to the health of older adults! 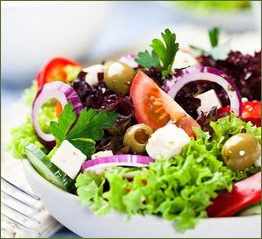 Healthy eating gives your body the proper nutrients needed to maintain bone health and a healthy weight, and can reduce the likelihood or help manage of chronic illness such as heart disease and diabetes. 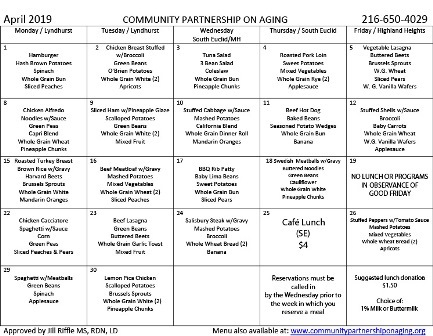 Take a look at the infographic that our friends at the National Council on Aging put together, below, and check out the variety of lunch options offered by CPA Cafe Services, too! . Café Lunch: A hearty traditional lunch with entertainment for singing, dancing or socializing! Location changes from month to month; $4.00 per person. Reservations are required. 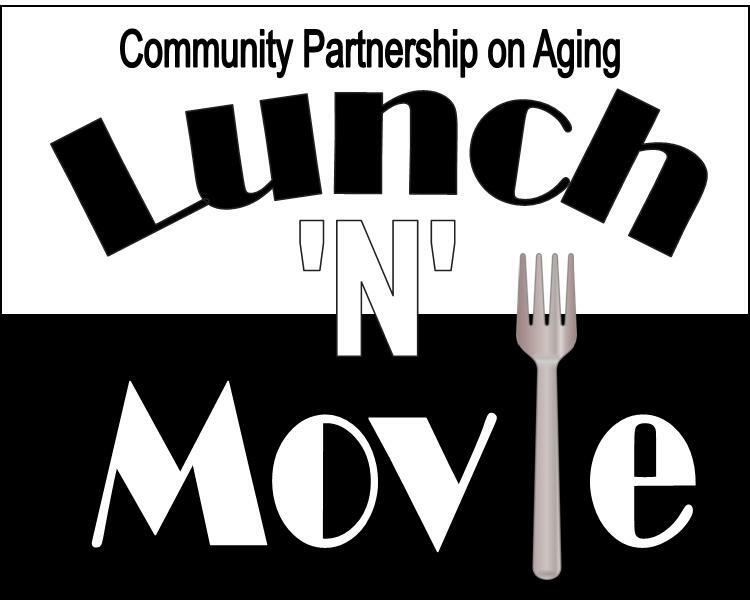 Lunch ‘N’ Movie: An upscale, light lunch held in the Mayfield Village Civic Hall in Mayfield Village, combined with a movie for $5.00 per person. Reservations are required. Lite Bite Lunches: A light meal option that does not require reservations! Choose your options for either $3 or $2! Drop in at South Euclid Community Center from 12:15-1:00 on Lite Bite days for a quick, tasty bite. Spring/Summer Lite Bite offerings generally include sandwiches and salads and Fall/Winter offerings include Soups/Sandwiches. 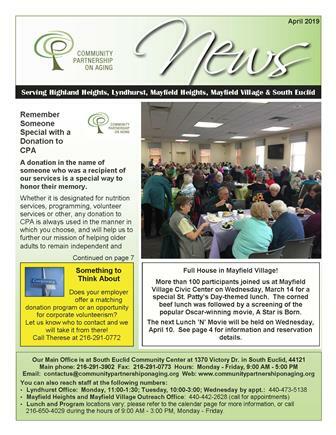 Diners looking for a more standard meal can also join us at Lyndhurst, South Euclid, Highland Heights and/or Mayfield Heights Community Center on a rotating basis throughout the week. 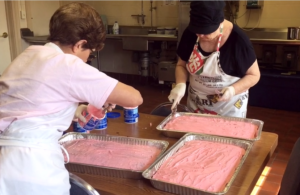 Meals are provided through grants from The Ohio Department on Aging through Western Reserve Area Agency on Aging and through the Cuyahoga County Division of Senior and Adult Services through the Health and Human Services Levy. Suggested donation for the congregate meals is $1.50, with reservations required no later than the Wednesday before the week in which you wish to join us. You will be required to complete a registration form on your first day of lunch with us, and yearly afterward. Menus for the current month are available on our home page. 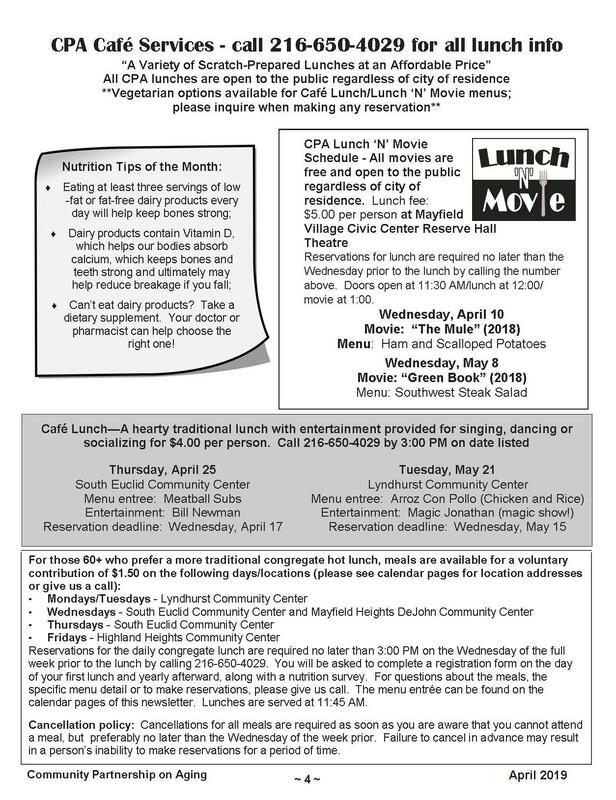 For questions about any lunch option or to make a reservation, please call CPA at (216) 650-4029.